Environmental Engineering has become one of the most sought after career options, due to the growing concern about unpredictability of the environment. Earlier environmental engineering programs were taught with other fields of engineering (i.e civil and chemical). By the mid-end of the 20th century, this field was recognised as a separate engineering discipline because of the widespread public concern about water and pollution. Environmental Engineering related to Environmental science, is a broad field that apply the principles of science and engineering to protect and improve environmental conditions. The field focuses on design and technology for improving environmental quality. The main areas of environmental engineering include air pollution control, industrial hygiene, radiation protection, hazardous waste management, toxic materials control, recycling, water supply, wastewater management, storm water management, solid waste disposal, public health and land management. Within each of these major categories, there are many sub categories. Environmental engineers are technical experts concerned with local and worldwide environmental issues. They combine the principles of biology and chemistry to develop solutions to environmental problems and work in a wide variety of settings with various engineering mechanisms. The major task of environmental engineers is to protect public health by preserving and enhancing the environment. They are engaged in designing various pollution control equipment and devices, construction, installation, implementation and operation of environmentally-related procedures. They are also involved in the protection of wildlife, conduct research on proposed environmental projects, analyze scientific data, perform quality control checks and design municipal water supply and industrial wastewater treatment systems. Environmental engineers also attempt to prevent the production and repercussion of acid rain, global warming, ozone depletion as well as harmful automobile emissions. Those who have a strong commitment to the environment can make a successful career in this field. 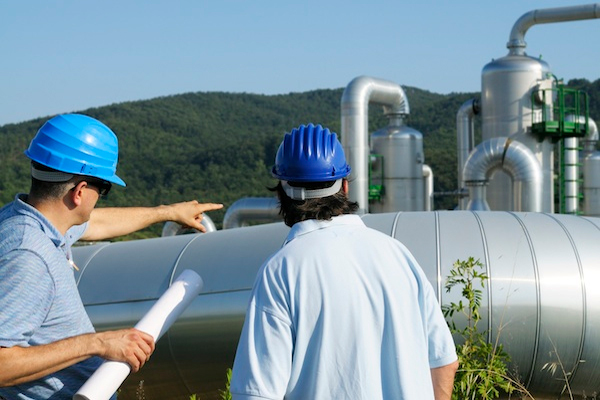 Environmental engineers are broadly educated and technically trained in the environmental field to address the spectrum of issues facing the environment. The subjects of study includes not only mathematics, physics, chemistry and engineering design but a range of disciplines like biology, microbiology, ecology, public health, geology, meteorology, economics, political science and computer science.